Here is a picture from the neighbors lake dock looking into west end of Mack Lake where your land is located. Looking across Mack Lake. This is a wonderful lake for canoeing, kayaking, paddleboating and paddleboarding, fishing! 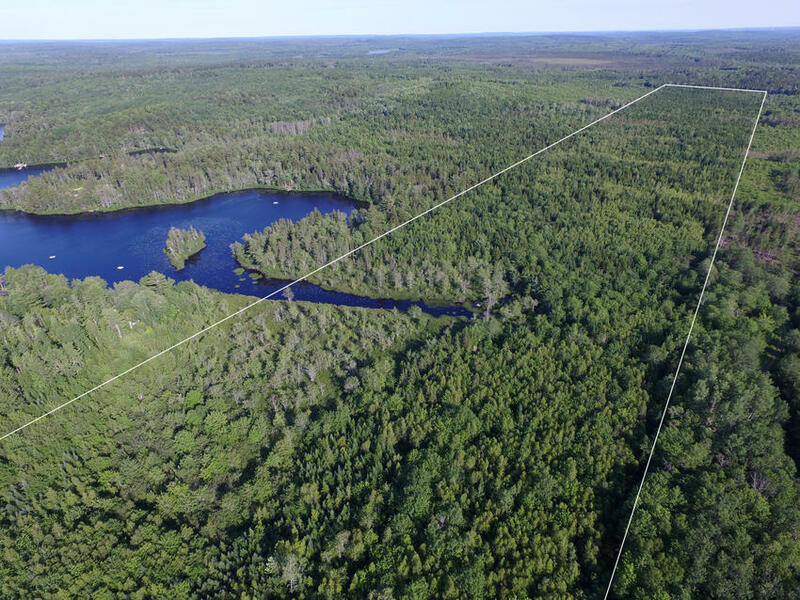 In this air photo you can see the acreage and right-of-way leading to your land from the North. Another overhead view of the acreage. Here you can see Mack Lake and the approximate property boundary at the westerly end of the lake. This photograph was taken on the property approximately half way back on the acreage. 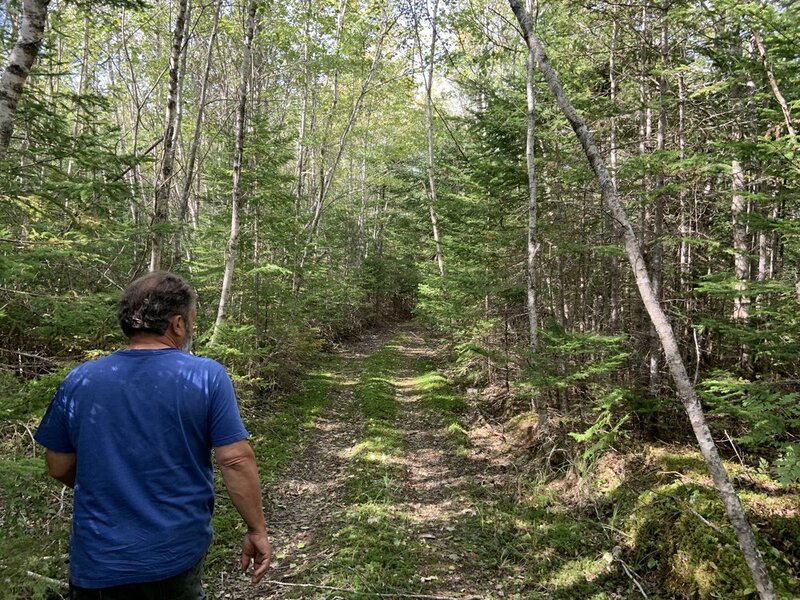 Here we are marking and following an old woods road that runs through your land. With some work this would make a good access into and through your acreage. Picture taken within the northern half of the acreage. Here is Easy Street leading to the Easterly boundary of your line on the South side of Mack Lake. 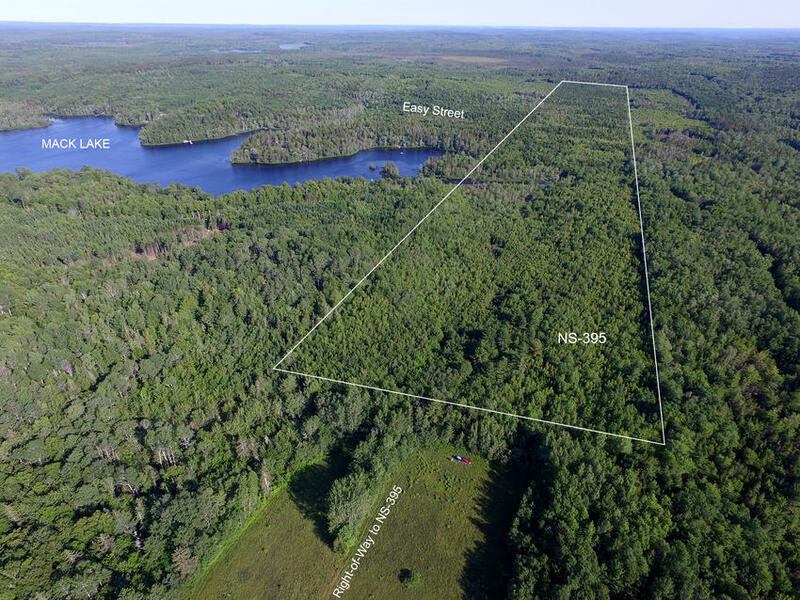 Here is the adjoining acreage to the north of your land. A registerest right-of-way easement over this land to your land exists. This is Mack Lake from East Dalhousie Road at the easterly end of the lake. Aerial photograph indicating the property boundaries and location. Topographic map indicating the property boundaries and location. 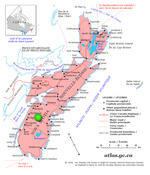 Here is a map showing the location of the 82 acres in Southwestern Nova Scotia. Underlined are some of the notable communities, towns and cities in the area. 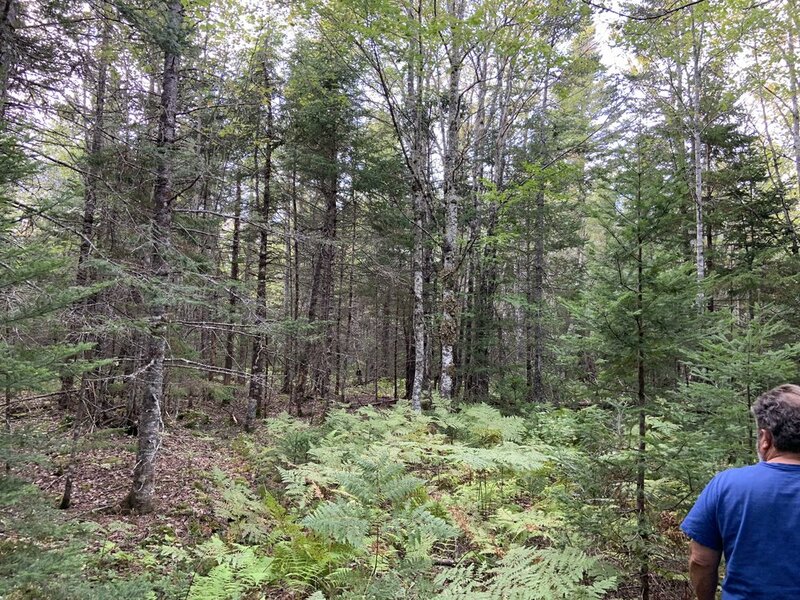 This is a perfect acreage for someone who enjoys the outdoors and nature! 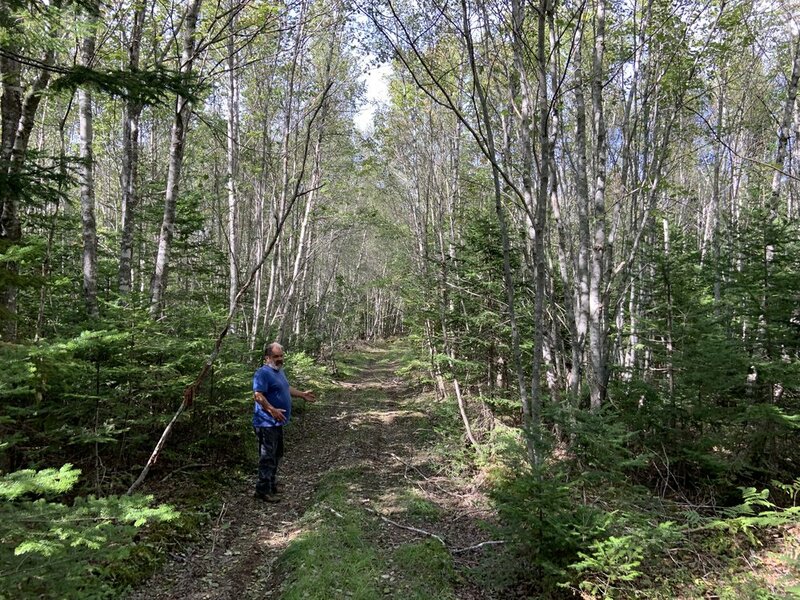 82+/- acres located on Mack Lake in Southwestern Nova Scotia. 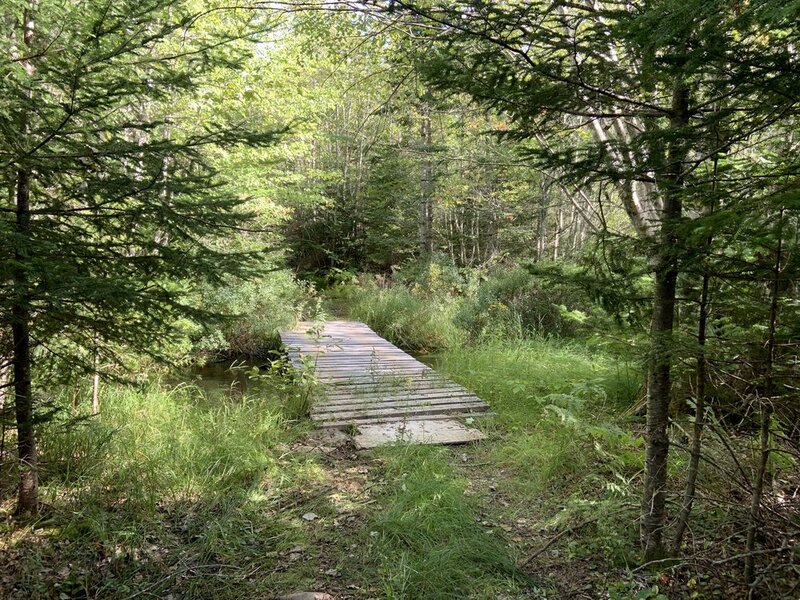 A property of this size and location with no restrictive covenants offers so many ways for you to use and enjoy your land ownership - whether it is for residential use, seasonal use, camping or woodland management - the land can offer something for everyone and is certainly an exciting land holding in Eastern Canada. 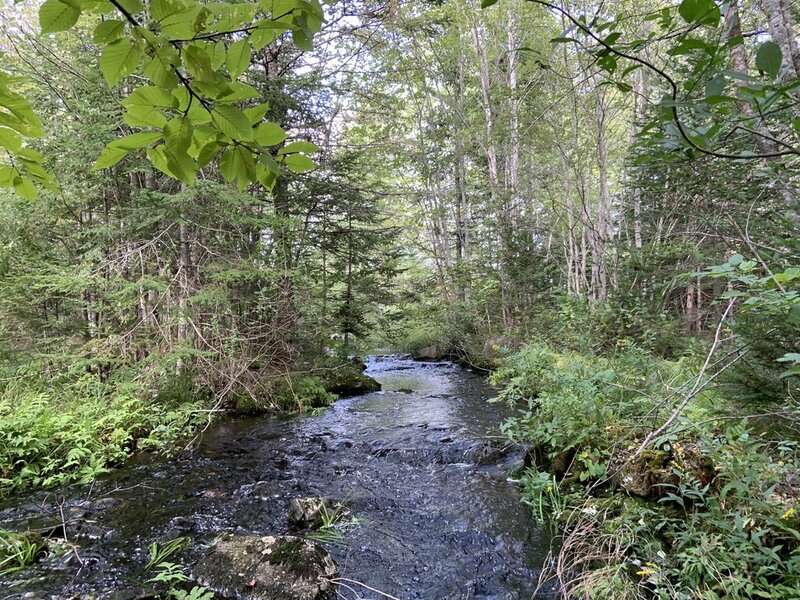 This property enjoys a few hundred feet of shoreline on the west end of Mack Lake, as well as two brooks - one is the outflow of Mack Lake (running east to west), and the other is a small spring feeding into Mack Lake (running north to south). Your chances of landing fish in Mack Lake are very good. 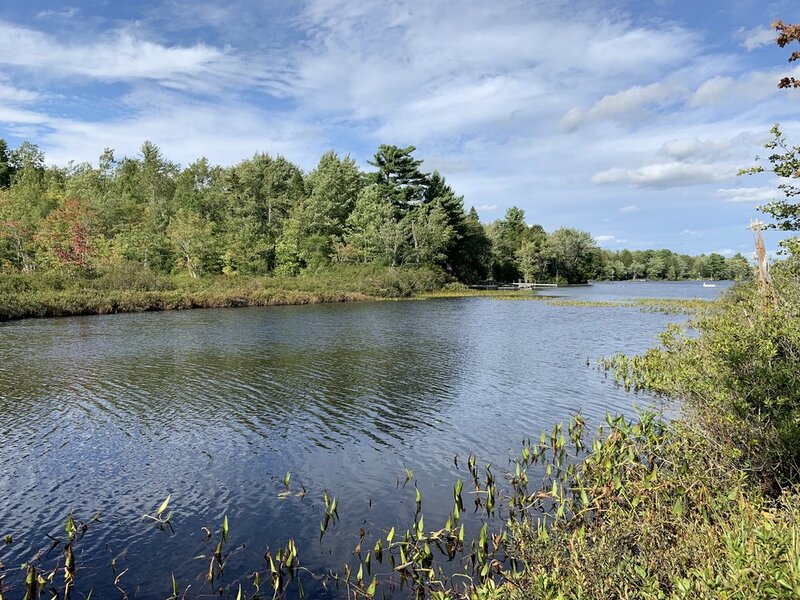 Other activities to enjoy include canoeing, kayaking, boating, swimming and enjoying the sights and sounds of nature both on the lake and in the forest. 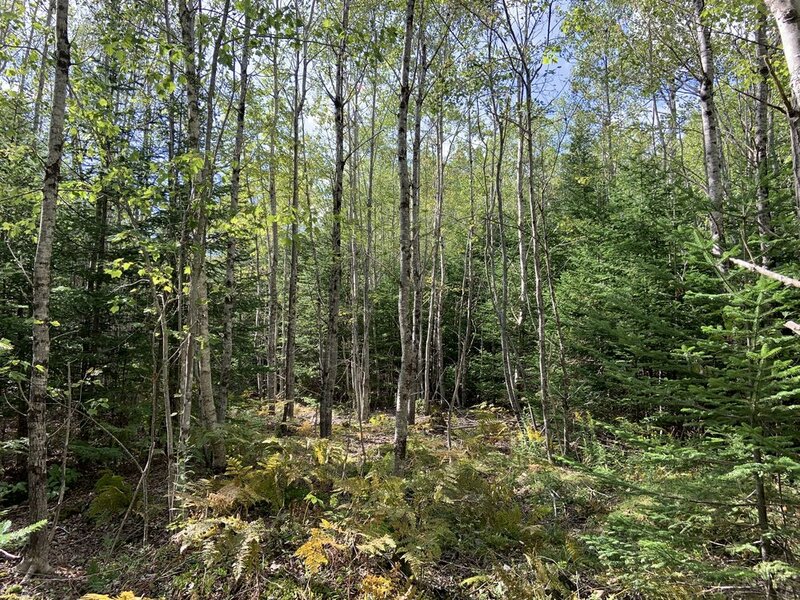 Though at this time there is little marketable value in the timber, the land is largely woodland in various stages of maturity - Fir, Spruce, Hemlock, some Pine, Maple and Birch are growing here. 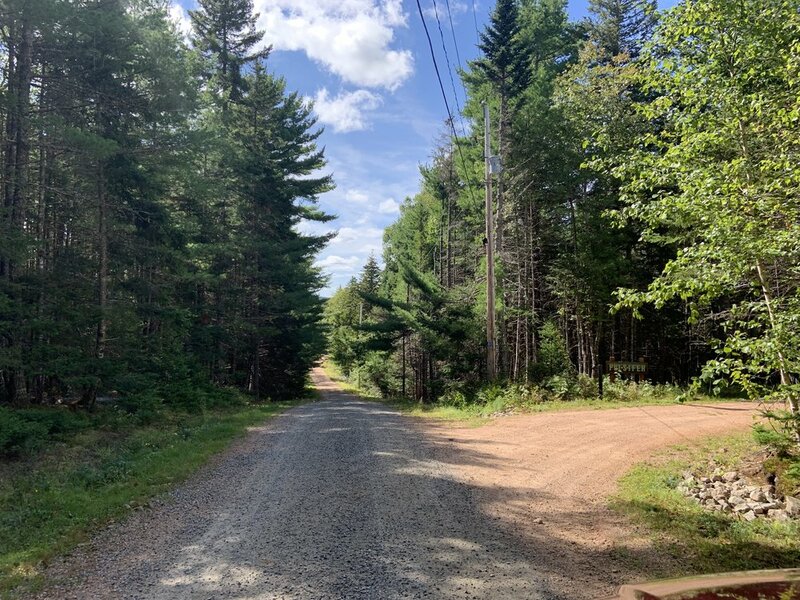 The acreage is accessed via East Dalhousie Road, and the private roads Stoddard Drive and Easy Street which lead around the south side of Mack Lake and provide access to numerous cottages and houses around the lake and lead you to the eastern boundary of your woodland. There is a second registered access via a right of way over the northerly adjoining parcel. 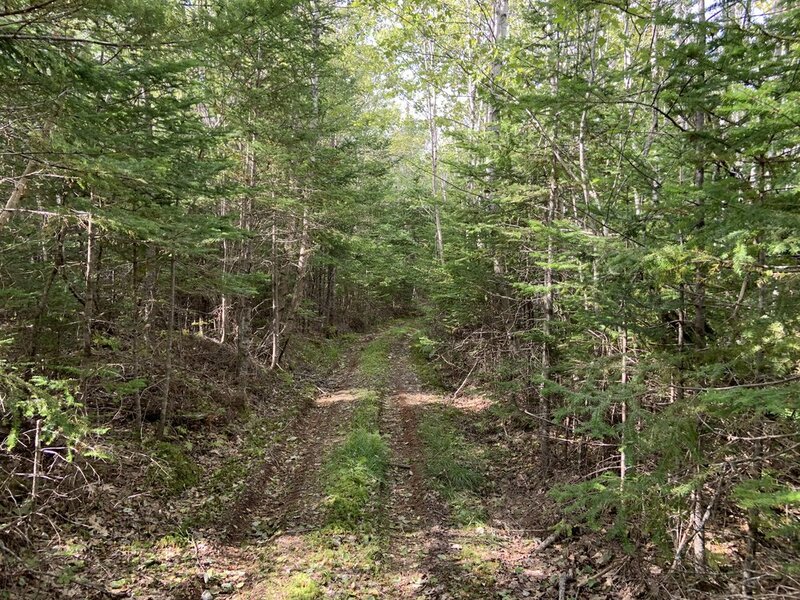 There is still evidence of an old woods hauling road through the property used when the land was last harvested for timber. It has largely grown back in, but with a little work, it can once again provide nice access into and through your land. The zoning of the land is mixed between Forestry, Future Shoreland and Environmental Open Space. A map is available highlighting the zoning areas. 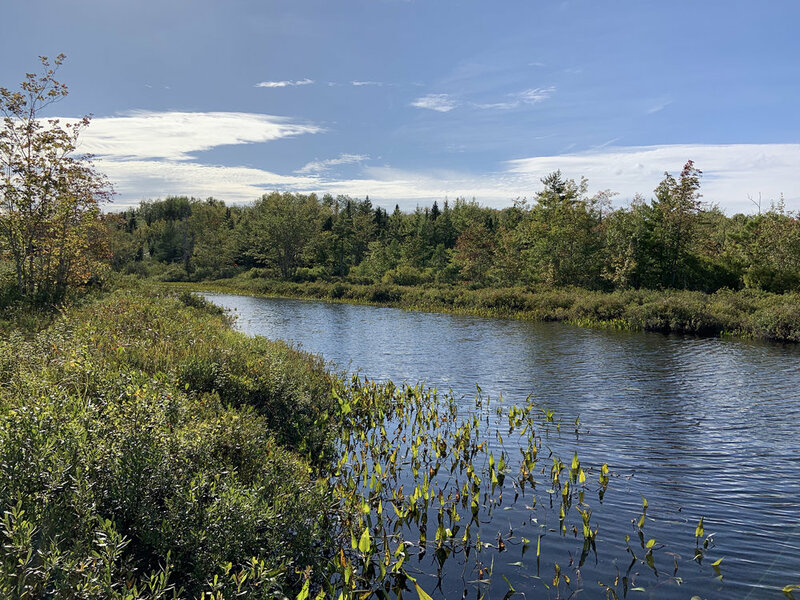 In addition to Mack Lake at your doorstep there are several other lakes and streams closeby (Spectacle Lake, Lake Torment, Lower Sixty Lake, Black Duck Lake, First Pond, Second Pond and Third Pond). These will provide you with great fishing and endless recreation opportunities. The communities of New Germany and New Ross are both within easy reach of your land and offer basic amenities and services. 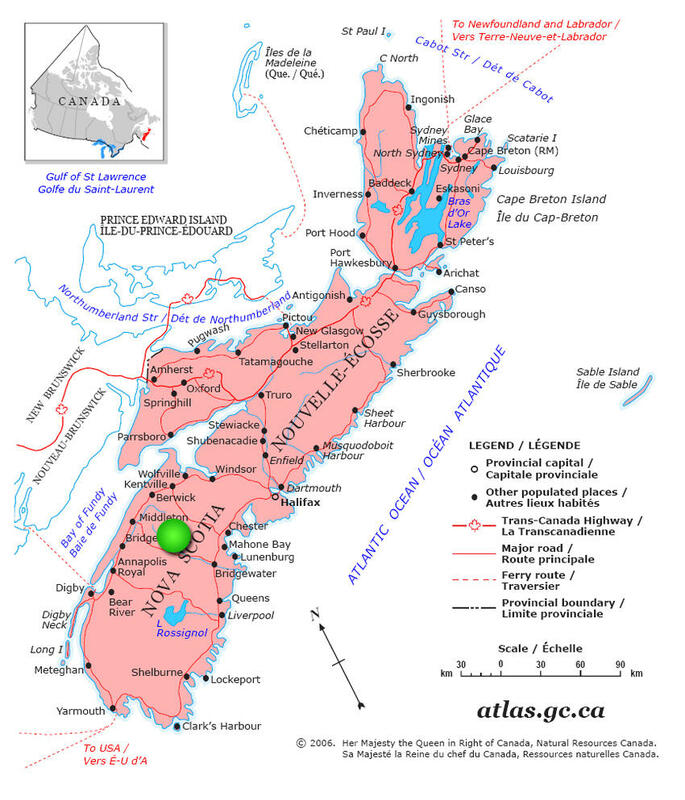 A little farther away is the Town of Bridgewater, located on the south shore of Nova Scotia. 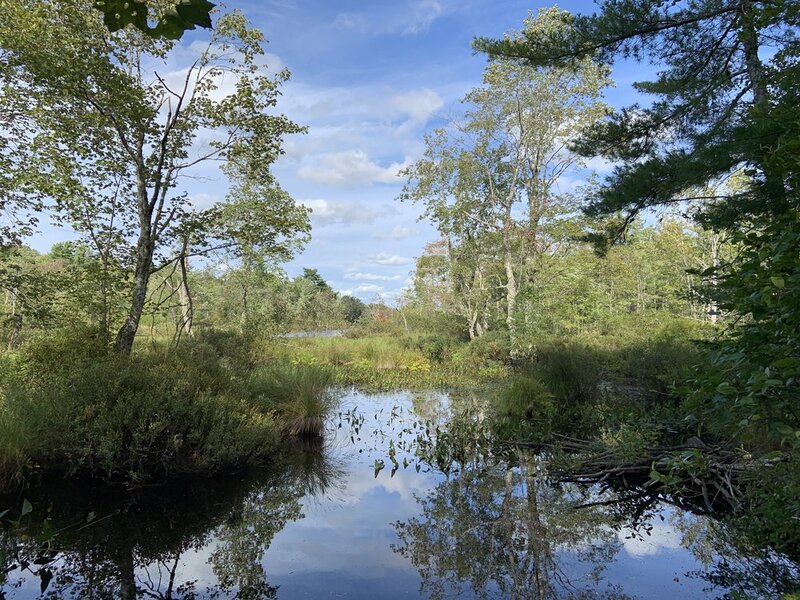 In Bridgewater you will find all amenities including restaurants, parks and museums, hospital facilities, library, banking, professional services and shopping mall. 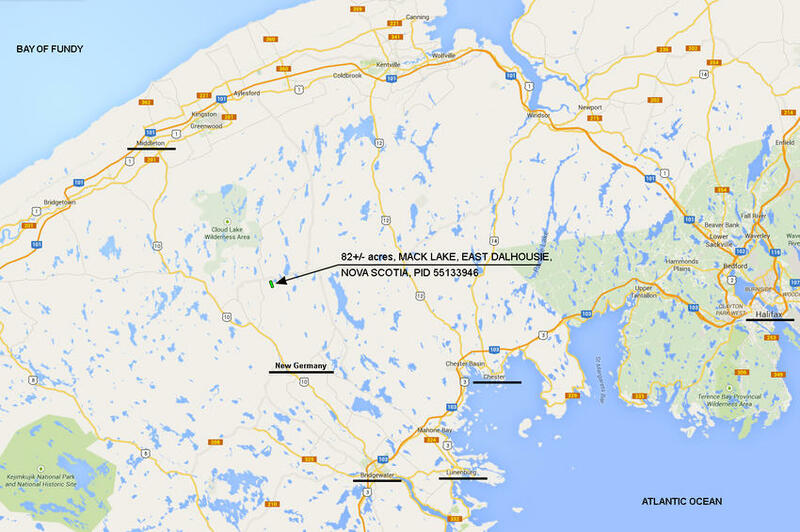 Two other notable towns approximately one hour from your property are Mahone Bay and Lunenburg. Both are located on the South Shore of Nova Scotia. These charming and picturesque towns are packed with shops and restaurants, historic architecture, working waterfront, seafood and local specialties. Lunenburg is a UNESCO World Heritage Site and a winner of the Pretties Painted Places in Canada. The City of Halifax (Capital City of Nova Scotia) and Halifax International Airport are also conveniently located from your property - 1 ½ hour and 1 ¾ hour drive respectively. Halifax Airport has international flights departing and arriving from across Canada, USA, London England, Frankfurt Germany, Glasgow Scotland. The property lies in a mid-temperate zone, with a climate closer to continental rather than maritime, with the cold winters and warm summers moderated by ocean influences. Annual average precipitation = 1400-1500mm or 55.12in-59.06in. Annual average snowfall = 250-300cm or 98.43in-118.11in. PRICE: Term Sale: $43,500.00, payable $3,540.00 cash with order and seventy-two (72) monthly payments of $555.00 each, and interest. Additional 10% discount if paid in full within 30 days: $39,150.00, if paid $3,150.00 cash with order and the balance of $36,000.00 within thirty days thereafter.